As you watch sales unfold, do you see opportunities your staff is missing? Perhaps it‘s an upgrade to high index or a digital lens design. Do they forget to recommend photochromic lenses or offer a cheaper frame, assuming the patient isn’t willing to pay more? It often seems the process could be handled better, leading to a more desirable outcome. But why? According to Wikipedia, an “engaged employee” is fully involved in and enthusiastic about their work, and acts in ways that further their organization’s interests. 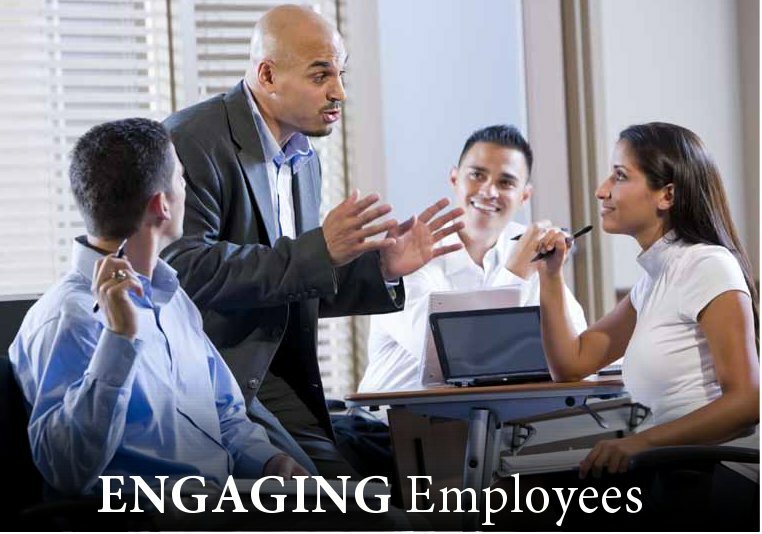 The Kenexa High Performance Institute defines engagement as the extent to which employees are motivated to contribute to organizational success and are willing to apply discretionary effort to accomplishing tasks important to the achievement of organizational goals. If your staff is not engaged, they are literally going through the motions. This doesn’t necessarily mean they are negligent; they are simply not invested in making the sale. So how can you motivate staff to work more effectively? It would be great if it was a matter of increasing salaries. But studies show that pay is actually quite low on the priority list for most employees. Location, status, job security and length of work week all rank ahead of it. Remuneration in human resource terminology is considered a housekeeping item. And HR psychologists theorize that as long as such factors are within industry standards, they do not impact engagement. Ineffective leadership is perhaps the top reason why employees suffer from disengagement. And often the first place to look is in the mirror. Self-aware leaders who understand their own strengths and weaknesses and develop a communication strategy that maximizes their personality have the greatest success in motivating their teams. Employees who are valued perform better. A thank-you is always nice. Positive reinforcement provides an opportunity to offer feedback and improve trust with employees. Note the language you use with your team. If a client wasn’t offered photochromic lenses, it would be easy to point that out. A more constructive approach is to ask what products were included in the sale. Practice Leader: John, I noticed you sold Mr. Smith a new pair of glasses. What product selection did he choose? Dispenser: He bought an acetate frame, progressive lenses and an anti-reflective coating. Practice Leader: Great! He’ll be happy with the quality of those products. If you had an opportunity to work with Mr. Smith again, would you have done anything differently? Dispenser: I probably would have asked if he wanted photochromic lenses. He had it last time but I forgot to ask. I’ll call and see if I can upgrade the sale. When the employee is engaged in problem solving he feels valued. Engagement is contagious and it only takes a little to make an impact. Transformational leaders know they will earn more if all employees feel a sense of ownership in the jobs. How can you create such an environment? Job design is a key step. By dissecting job descriptions collaboratively, employees participate in designing their roles. This is key to overall organizational effectiveness. In a small- to medium-sized optometric practice, which may have 15 individual contributors, it’s wise for the practice leader to create an organizational map to help understand the corporation’s character. By looking at it objectively, you can remove “filters” that cloud your judgment in making decisions, such as unresolved conflicts. The use of behavioural assessments such as the Predictive Index® creates an opportunity to look at the practice from a scientific perspective. This is a quick, effective way to find key coaching and development opportunities and customize them to each employee. Job design is essential. The transformational leader understands how to coach the employee’s skills that fit the job, recognize the gaps in performance by investing in their development and most importantly how to help people become the best possible versions of themselves. If the leader is invested in helping employees bring their “A” game to work, the result is usually a lift in morale, productivity and ultimately profit.